Well that didn’t take long. 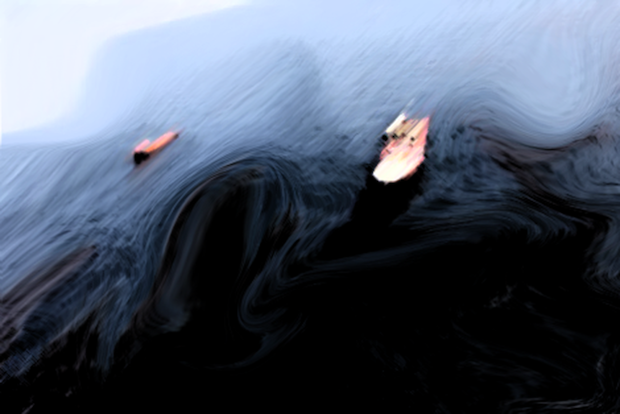 The disastrous spill in the Gulf of Mexico has inspired its first artistic masterpiece: Deep Horizon, a series of “oil paintings” created by digital artist Ubermorgan. The paintings are actually drawn from images of the disaster, which have then been digitally manipulated with compression effects and video-editing. 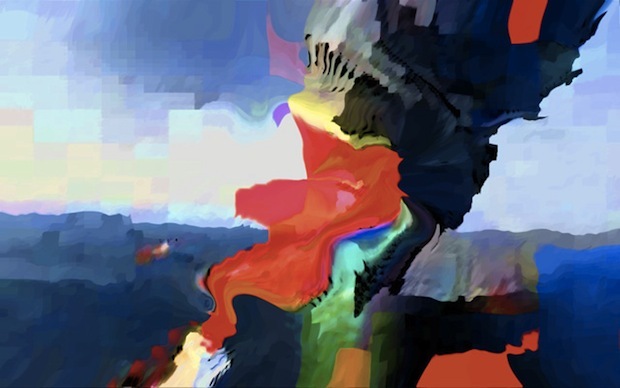 Thus, the colors in the images take on a distorted, liquefied effect–like a real-life oil painting. According to Ubermorgan, the oil spill itself is essentially a huge drawing, done by BP, using millions of gallons of oil on a canvas of tens of thousands of miles of open sea. Grim stuff, made all the more unsettling by the visual enchantment of the images–and the real-world devastation it abstracts. View more of the works at Today and Tomorrow.